If you are in the process of planning your wedding day, then you will undoubtedly have to ask yourself which type of wedding car you are going to arrive in and which company you are going to choose to hire your vehicle from. Midlands Limos have been in the vehicle hire business for a considerable period of time and we understand that this is no easy task. There are plenty of companies out there who will advertise their services, however, few of them will have the experience of vehicle hire or the range of vehicles to choose from as Midlands Limos. We have been hiring limousines and luxury vehicles for a long time and have gained the experience and expertise required to make your wedding vehicle choice an easier one. We have a comprehensive range of modern prestige cars to choose from, so whatever style of vehicle you are looking for, we are sure that we have the most suitable vehicle to meet your requirements. If you are looking for something prestigious we have several Bentleys to choose from including the eye catching Bentley GT. Perhaps you fancy arriving in the curvaceous Mercedes CLS320 or how about planning to arrive in arguably the best car ever manufactured, the 'Rolls Royce Phantom'. If you are looking for something really special then you could choose to hire our white Humvee or perhaps one of our stretched Hummer limousines. Our Baby Bentley limos are always a firm favourite and are a truly beautiful vehicle to use which never fail to make jaws drop. When wedding bookings are made, we will allocate you with your very own personal co-ordinator to deal with your requirements. We like to add this personal touch to ensure that your most important day goes exactly to plan and you enjoy the dream wedding you deserve. Our aim is to provide you with a superb level of customer service that will help your special day to be one of the best days of your life. If you have any questions regarding our nationwide wedding vehicle hire service, then please do not hesitate to contact us, where we will be happy to discuss your requirements and to give you a free no obligation quote. 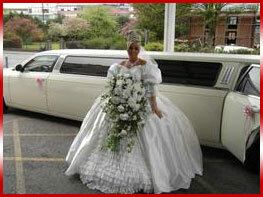 Limo Hire Nottingham, Limo Hire Derby, Limo Hire Manchester, Limo Hire Leicester.